"Self Analysis a Day, Keeps your repetitive mistakes away "
Feel free to share your SSB Interview experience with us. This will help other candidates to better understand the procedure and the way you have to perform there. "Be Yourself, but Always your better self"
Hello friends, my name is Jisha Chahar and I am from Haryana currently living in New Delhi. I am at present doing my masters in economics. Being an army kid, defence was always stuck in my mind since childhood and I decided to pursue my dream immediately after graduation. My first attempt was at 24 SSB, Bangalore. The experience was a learning one for me and a total of 15 girls got recommended from there. I was merit out in that chance as my rank was 25th. My successive chances included 2 AFSB, Mysore, 20 SSB Bhopal twice and I got recommended in all them and sadly getting merit out every time. One thing that kept me going was my family who were the biggest supporters of my dream and that my rank was improving with every chance and kept thinking of ways of improving myself. I decided to work even harder on the written exam and prepared extensively for it. I mainly referred to Manohar Pandey for my static GK part where I focussed most on Geography, Polity and General Science. Overall my whole defence experience has taught me that keep working towards your aim no matter the result and after every failure, analyse what can be improved. If you keep giving your attempts, be it written or interview, with the same preparation, you’ll get the same results. (This applies to all those people who are getting merit out too) Keep refining your personality and you will achieve whatever you want in the end. My honest confession is all I ever wanted was to get “merit in” in order to achieve my aim. I kept working on myself and finally ended up topping the merit. 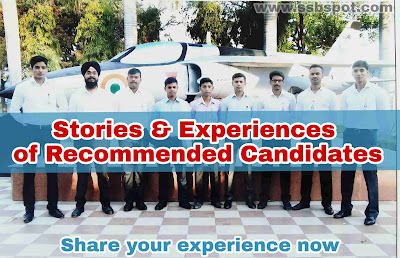 I recently got recommended by the Services Selection Board (SSB) Kapurthala for CDS OTA Entry, subject to merit list. And I would like to share everything with you all, a little at a time. Let’s break this down a bit. Attempt :- It was my fourth attempt overall for the SSB. One of it had been for NDA, and two of them for TES Entry and evidently, none of the previous ones went as good as this one. I got conference out the first time and the next two times, I was screened out. After graduation this was my first SSB.